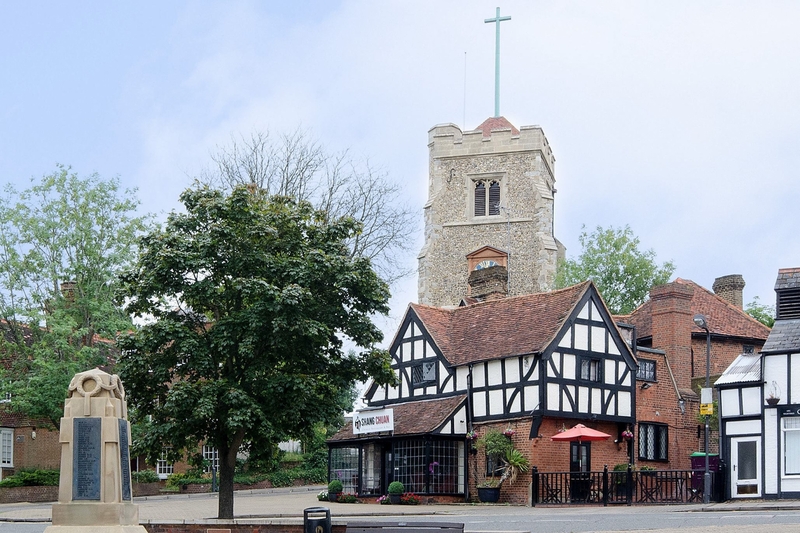 Harrow Weald Area Guide - What makes Harrow Weald so great? Where do Harrow Weald locals go? Great grub and a lovely beer garden for the summer! Share your favourite place to go to in Harrow Weald. "Cartoonist and illustrator William Heath-Robinson famous for his drawings of complicated machines designed to achieve simple tasks lived at 75 Moss Lane, Pinner." Harrow Weald has direct access to London Euston from Harrow & Wealdstone station, nearby countryside, perfect-sized Waitrose, great Tennis Club and best of all, Bombay Central! Lovely community, Nice area to live. Travel to London is piece of cake as at least 3-4 train/tube stations within 1 mile area. What do you think of Harrow Weald? Harrow Weald is an area in London. It includes a suburban development and forms part of the London Borough of Harrow. Harrow Weald is near to Bushey Heath, Stanmore, Wealdstone, Headstone and Hatch End. The area is separated by those parts of it that are on lower ground, the developed areas, and those on high ground, the wooded areas. It forms part of the HA postcode area. The southern part of the area is a suburban development consisting of houses, schools, small shops, supermarkets and pubs. What are your favourite things about Harrow Weald? Find out how much your flat or house is worth om Harrow Weald. Feedback about living in Harrow Weald has been submitted directly by the public and may not neccessarily reflect the views of Foxtons. The description of Harrow Weald was modified from Wikipedia and is available under the Creative Commons licence. Land Registry data is Crown copyright. All the views and contributions contained within Foxtons Local Life are those of the contributors. All content is assessed before publishing for taste, however free opinion is encouraged. Foxtons accept no payment or sponsorship for content that is posted about Harrow Weald.